The Slim Dusty Centre is home to the Slim Dusty Museum, a travelling exhibition gallery, Dusty's Café, Gift Shop and Function Centre. 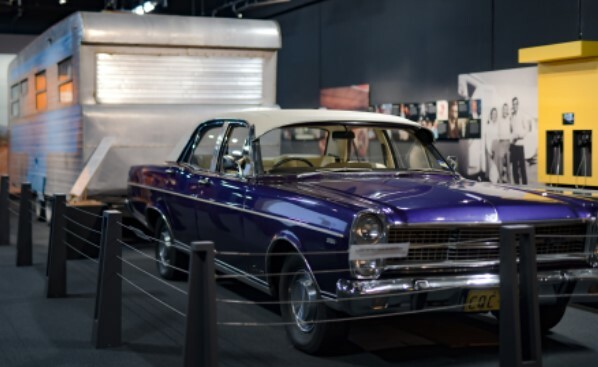 Located at South Kempsey on the NSW Mid North Coast, the Slim Dusty Museum contains costumes, photos and memorabilia from Slim's life time travelling and performing across Australia with his family and mates. The Golden Gallery features the Golden Guitars and the Gold, Silver and Platinum Records awarded to Slim throughout his career. The Museum is a must see! Visitors also enjoy browsing the Slim Dusty Merchandise and locally made products in the gift shop, checking out our travelling exhibitions and enjoying the best coffee and scones on the Mid North Coast in Dusty's Café.